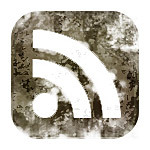 Be honest here: do you subscribe to RSS feeds? More importantly, if you do subscribe to RSS feeds, do you actively monitor them and read the content posted to them or do you ignore it or forget to look? It's no secret that a lot of news stories are being broken on Twitter before they're seen anywhere else in today's news stream, and as a result more folks are turning to the ever-popular social website not just to communicate, but to learn. Here are three reasons that Twitter is becoming the one-stop shop to get your news, and why RSS is becoming less-important to mere mortals. Let's say you're the biggest Shaquille O'Neal fan in the world. Would you rather read an RSS feed from a Shaq fan site or follow him on Twitter so you can hear all of the developments in his career first-hand? 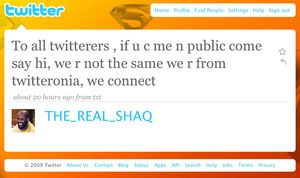 Alright now let's take into consideration the fact that Twitter lets you actually interact with Shaq. Sounds like a fan's dream come true, right? Much like blogging before it, Twitter provides a level playing field that gives everyone the same opportunity to interact and contribute to the community. 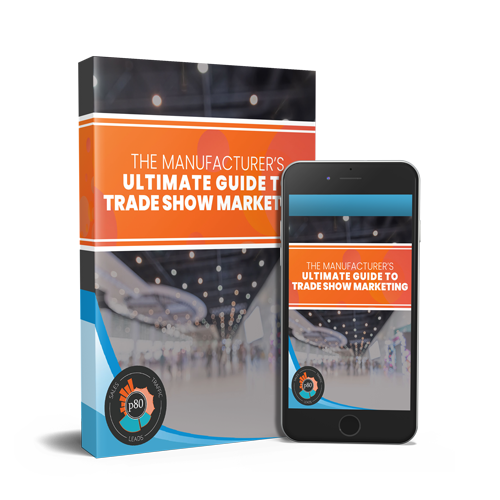 Moreover it cuts out the middle man so that you can follow industry leaders directly rather than going through a third-party source, and the same is true for your potential customers. Let's take the Shaq example above and change it to your favorite brand - now customers can not only receive updates and support for the products and services they love but they can communicate and interact with people who work for the company directly. If you're marketing the opportunity is pretty obvious. Twitter is all about following people who post content you like, and as a result you have an extra layer of curation that RSS can't provide. If I subscribe to my favorite tech news website's RSS feed I've opened up my floodgates to all of their content. Whether I'm interested or not, each story they send out over their feed will need to be reviewed so that I can pick out headlines I like. On Twitter, because I'm following people who post news and content I enjoy, I'm more likely to be exposed to relevant information. More importantly there's an added opportunity to discover new things on Twitter. If I'm following Donny and he posts something I haven't seen before I'm more likely to follow through because I know we like similar things. On the other hand, if a foreign news story comes through my Engadget feed that doesn't seem interesting it gets skipped 9 times out of 10. As the mobile device market continues to explode more people are turning to the phone in their pocket to not only consume but produce news. The reason news breaks on Twitter first is because it's so accessible and viral. With a mobile phone connected to Twitter we effectively all become news reporters. See something cool on your way to work? Snap a twitpic and send it to Twitter - a few retweets later and your own personal news story has gone viral. I don't care how good your favorite news website is, they can't compete with 100 million independent journalists giving first-hand coverage of the events in their everyday lives, and even if they could, by the time a story was edited and posted to their site for your RSS reader to pull down it would have already broken 1,000 times via Twitter's unfiltered news stream. RSS feeds are a one-way street. I subscribe and then content gets delivered to me, and I can choose to partake or not. In some cases I can click through to a blog post, sign into the website from which the feed originated, and finally leave a comment but that functionality is not inherent to RSS itself. The whole point of Twitter is to communicate. If someone posts a cool article I can very quickly retweet it to pass it along to friends or send an @ reply to give feedback to the author. In the end Twitter promotes communication and gives businesses an opportunity to build relationships with their prospect clients and customers. 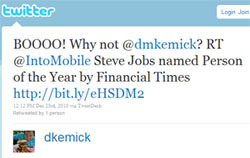 Finally, Twitter is cool, modern and is becoming a standard medium for businesses and consumers to interact. 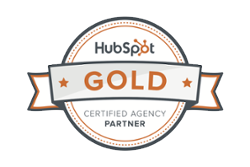 When was the last time you heard or saw a company plug their RSS feed on a radio broadcast or TV commercial? It doesn't happen. RSS is too complicated to quickly explain in short order. On the other hand everyone understands what a social network is and roughly how it works. If your blog or website has an RSS feed but you're not on Twitter you're missing the boat! Ask your everyday customer if they subscribe to your RSS feed or if they even know what an RSS feed is. You'll probably get a blank stare. Now ask the same about Twitter. Chances are very good they've at least heard of it or know someone who uses it if they don't already themselves. If people are already on Twitter your small business should be too! I certainly don't think RSS is dead except for as a primary means for news aggregation. It still serves a useful purpose on the back end of websites so develops can display information, and it's still a great way to subscribe to certain kinds of content like podcasts. That said even the geekiest folks I know are starting to turn to Twitter to see what's going on with their topics of interest instead of an RSS reader.